Donna Phelan back again. Here's a great little card full of friendship and song. The Tutti Designs Store has so many wonderful dies for all of your card making needs! This month it's all about the music! Just check out these glorious musical instruments in the June Release. 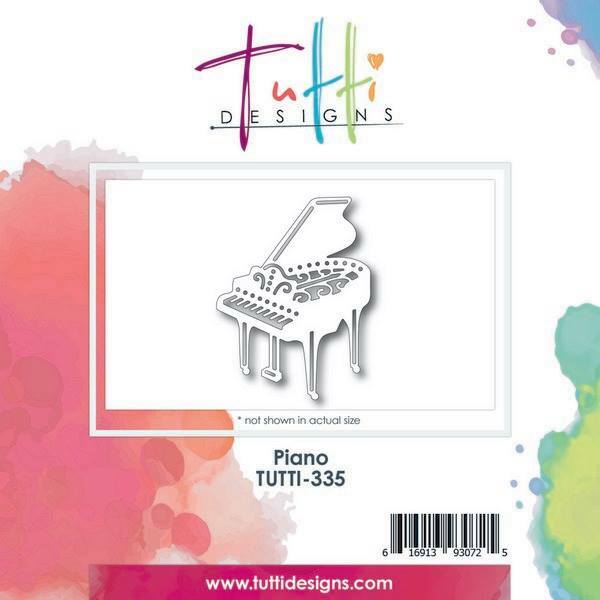 I used this fabulous Piano from Tutti Designs! So much detail! I also added Corner Tab Punches to frame in my focal image. A beautiful sentiment and musical notes to compliment my amazing Piano and I was done. This card really SINGS!!! This is just fabulous! Love the white/black color theme and your overall design is beautiful!